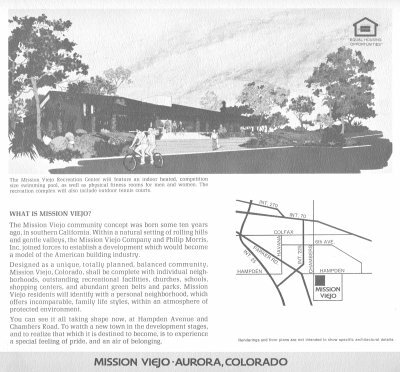 Below are marketing advertisements for Mission Viejo Colorado as it was being developed by the Mission Viejo Company. Here you will see the clever slogans and other unique attributes of the community as it was being developed. Click on the image to see a larger version of the image in PDF format. 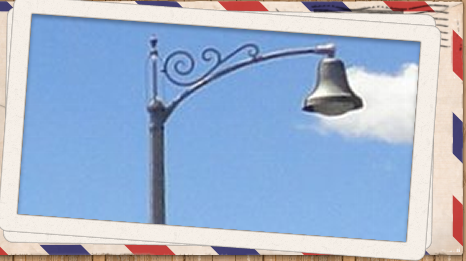 The Mission Viejo Company were experts at marketing and advertising. 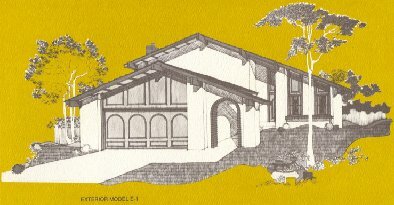 In addition to this highly successful marketing program, the company set up a special Design Center that guided homebuyers on landscaping and interior decoration, with optional designer interior paneling and optional exterior elevations. 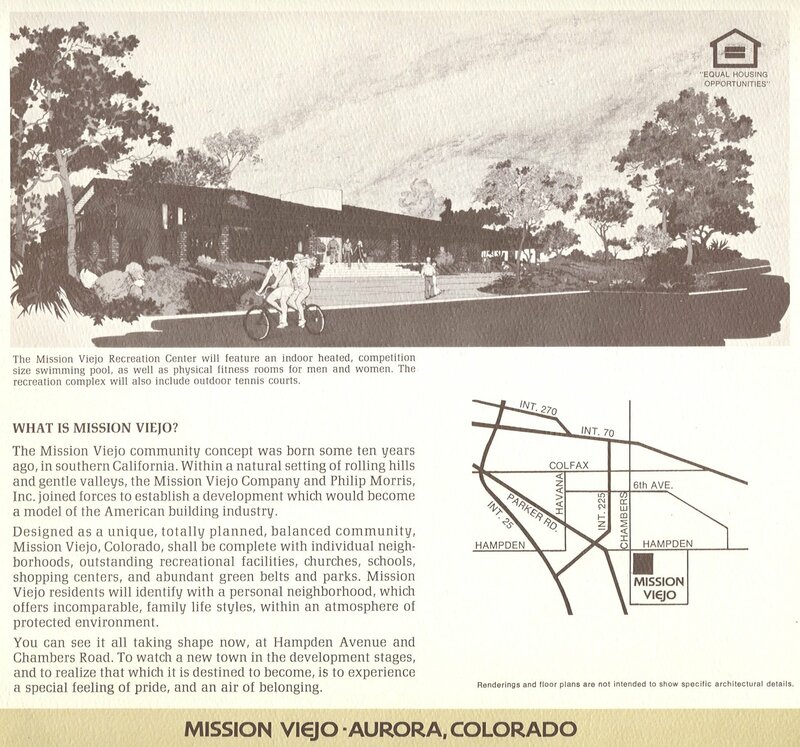 These ads not only show how Mission Viejo was sold to the Denver area but they also contain bits of community history and illustrate how the development progressed and changed through its ten years of construction.